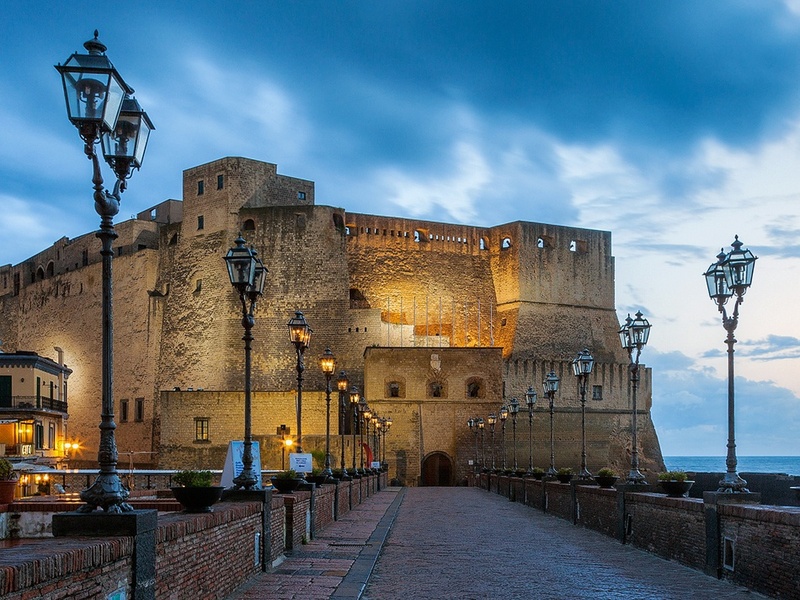 The transfer will start by picking you up at the hotel and driving you to the mainland region of Campania - a day-long transfer that includes a ferry ride from Sicily to Calabria. Late in the afternoon you arrive on the Amalfi coast. 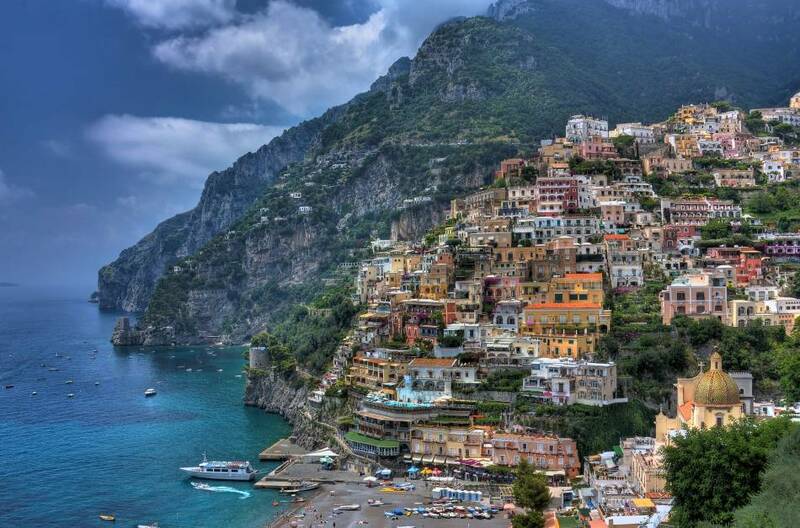 The tour will start off from the hotel, driving along the Amalfi Coast until we reach Positano, where you have time to visit the charming pedestrianised centre, the cathedral and the lovely shops selling, among other things, ceramics and limoncello. Then we move on, driving through some fishing villages: Praiano, Furore and Conca dei Marini, and continuing until we reach Amalfi, which is situated on the seafront with a beautiful pebbled beach. Amalfi also has a lovely pedestrianised main street with bars and cafés, shops and many others attractions (donât miss the limoncello tastingâ¦.). Amalfi has some interesting sights to see, including the most spectacular cathedral on this coast, and a paper factory with its museum. We will then take a meandering, relaxing drive uphill along a very narrow road, passing several wineries and olive factories, which will lead us to Ravello, a rural village completely unspoilt by tourism, perched on top of the mountain cliff situated above Amalfi and Minori. Ravello is famous for its breath-taking views, natural beauty and ancient monuments and these are seen at their very best in the stunning gardens of Villa Cimbrone and Villa Rufolo. In high season, these gardens are rich with the heady perfume of flowers in full bloom, flora and the sharp, sweet scent of lemons. Ravello is also denominated THE CITY OF MUSIC, here Richard Wagner composed his opera "Parsifal". There are many classical concerts held in the gardens of Villa Rufolo and, if you would like to attend one of them, from June until September there is something on every night. After this great day we'll drive back to the hotel. Today we are focused on Italian archaeology and Pompeii (the Roman city destroyed and buried by the eruption of the volcano Vesuvius in 79 A.D.) will be our first stop. The ancient city is today only ruins and new Pompei was rebuilt many years after the eruption. Our second stop today is Herculaneum, a Greek town destroyed and buried along with Pompei by the same eruption in 79 A.D. Here as well there are very interesting ruins to be visited. Herculaneum also offers a variety of beautiful scenery and invaluable arts. Strangely, excavations began by accident in 1709 when some workers were digging a well - they discovered a wall, obviously old and hidden underground for hundreds of years, which was later found to be one of the stages of the ancient theatre. Later, there were many human skeletons uncovered at the ancient shoreline, suggesting that numerous inhabitants attempted to escape by sea, but perished when mountains collapsed into rivers of lava and volcanic gases were released. Thousands of prosperous citizens in and before 79 A.D. sought comfort and luxury in the majesty of Mount Vesuvius, regarding it as nothing less than a gift from the gods. In those days of abundance and wealth, no Neapolitan would have anticipated the hidden threat churning inside their beloved mountain, which erupted so violently during the morning of August 24th, 79 A.D., destroying all of the surrounding cities by spitting lava and gases into the air. 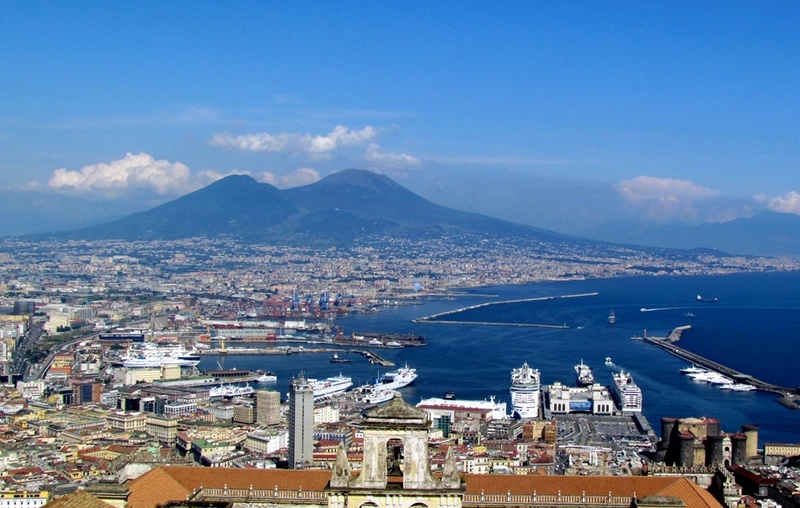 Since then, Vesuvius has erupted approximately three dozen times. The most recent eruptions between 1913-1944 were thought to bring to an end an eruptive cycle that began in 1631. After visiting the two towns destroyed by the volcano there will be time to go up and see Vesuvius. We will walk for 45 minutes up to an altitude of 1281 meters above sea level, from where the view is simply amazing. After visiting the volcano we will drive you back to the hotel. 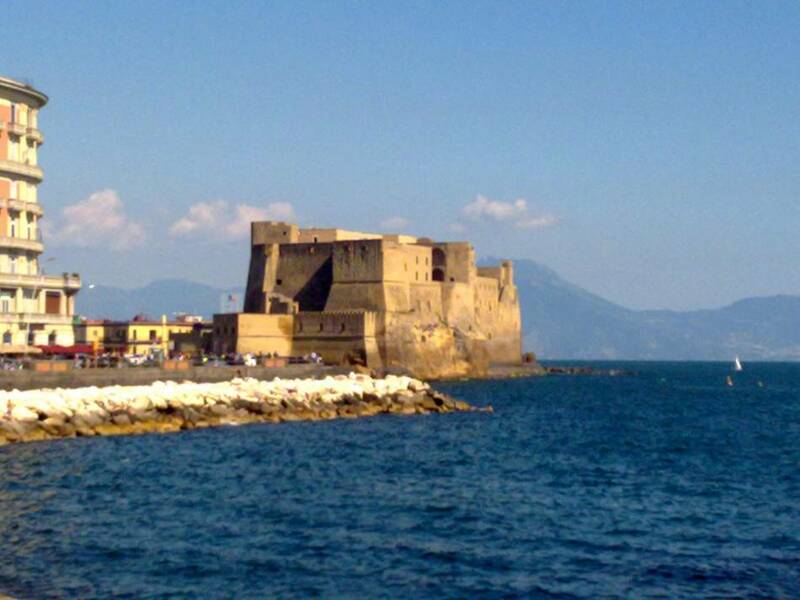 Bella Napoliâ, where the pizza Margherita was born - a city with many different colors and many different sides, renowned for the character of its people who say âsee Naples and dieâ. 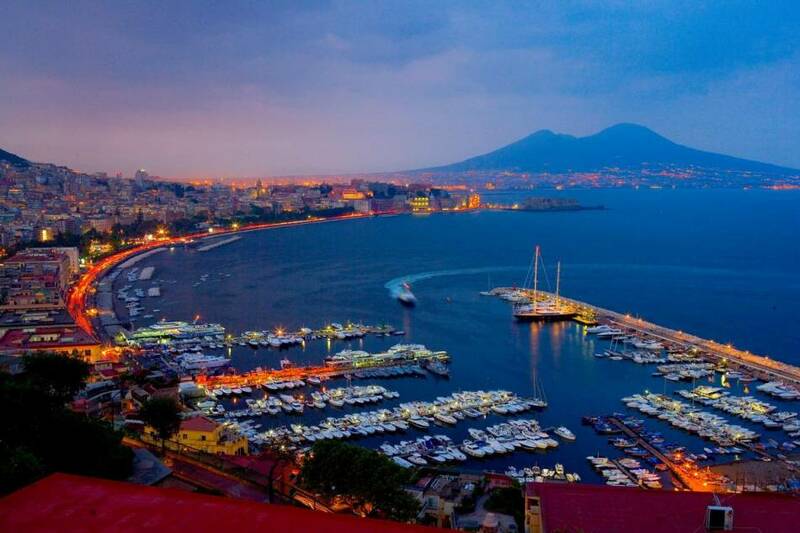 Naples is situated in a beautiful bay, with Mount Vesuvius forming the backdrop. This city should be toured WITHOUT wearing any jewellery, with ladies not carrying handbags and money kept in front pockets rather than wallets or purses! Apart from shopping at its best along the streets of Via Chiaia, Via Roma, Corso Umberto, Via Caracciolo and the shopping mall Galleria Umberto , the city is full of art, culture and history. Visit the museum of National Archaeology and the museum Capodimonte that exhibits works of the Renaissance and baroque masters (donât miss the impressive ceiling). See the cathedral of San Gennaro, impressive churches of San Lorenzo and Gesù Nuovo, the charterhouse of San Martino and the cloister of Santa Chiara. Then there is the theatre of San Carlo and a nearby bar âGambrinusâ (the bar of the artists) that inherited its name from all the artists that used to drink there after exiting the theatre. 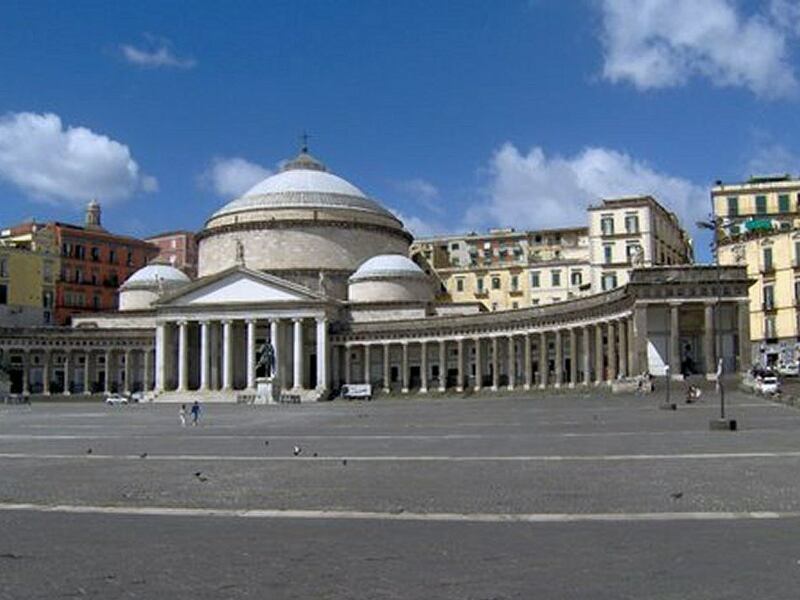 There are various squares such as the Piazza Municipio where the castle of Maschio Angioino is located, and the vacant Royal Palace of the former Royal family in Piazza Plebiscito. To sample an authentic Neapolitan pizza we recommend the restaurant âBrandiâ that is to be found along the shopping street of Via Chiaia. After visiting the city we will drive you back to the hotel. Private tour with daily departures.